← You Can Join the Stamping Fun! This was another card from from our Angel meeting on August 13th. 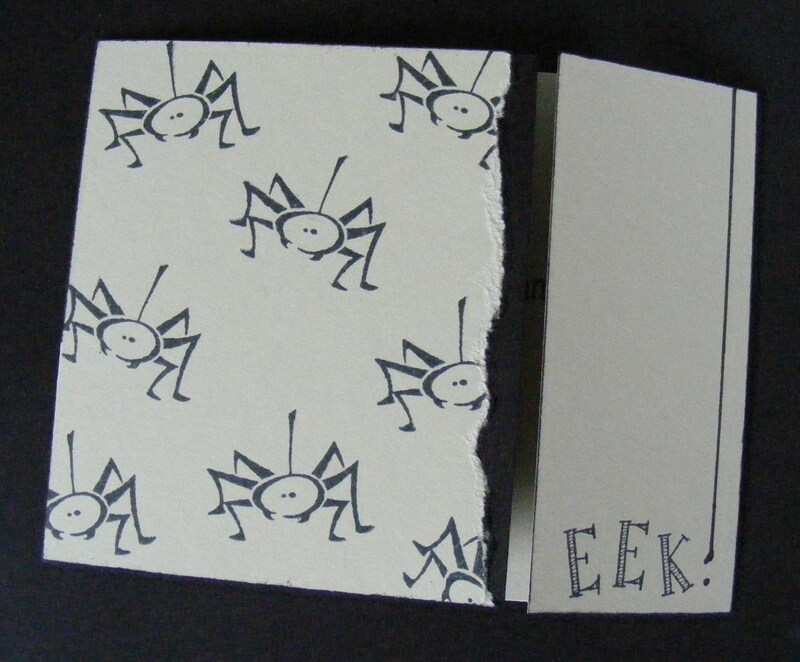 I designed it for my good friend, Jen Andeway who is scared of real spiders. But she did like the pretend ones on this card. I used a retired alphabet set and the retired stamp set Boo Bash from The Angel Company. I used a simple gray piece of cardstock measuring 4-1/4 x 11 inches and folded it at 3-5/8 inches and again at 9-1/8 inches. I tore the edge off the longer fold and added a strip of black cardstock for added interest. I used a black stamp pad to blacken all the edges of the card. The inside of the card has this cute little message. It is really cute card that is really simple to make. Enjoy! 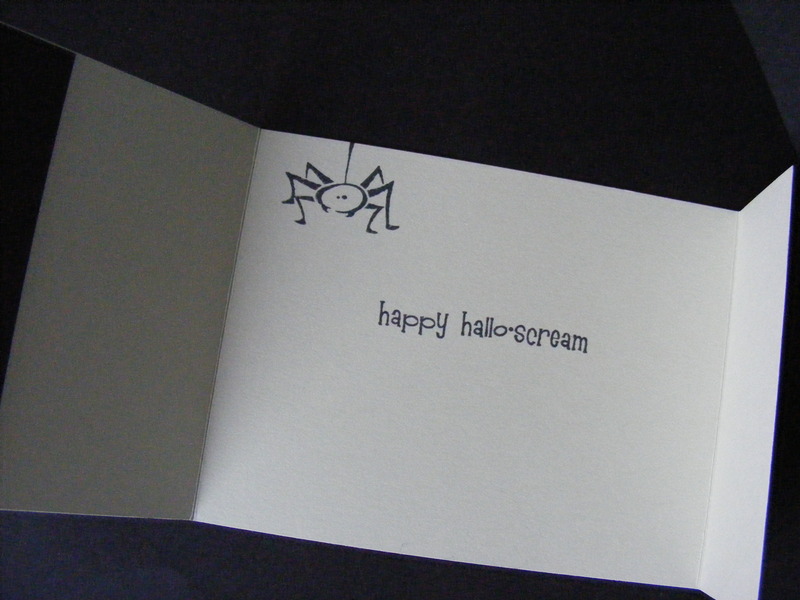 This entry was posted in Cards, Rubber Stamped Items and tagged Black, Card, Gray, Halloween, Scream, Spider. Bookmark the permalink.